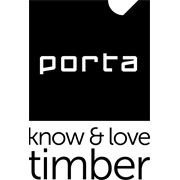 Porta's Dressed All Round timber provides the foundation and structure for many renovation, carpentry and DIY projects. Dressed All Round has been machined or sawn on all sides, ready to use. Decking How to build a deck A deck is the perfect way to extend your living area to the outdoors. Find out how you can build your own deck that you will enjoy for years to come. Decking How to clean a deck There’s nothing like giving your deck a thorough clean to bring it back to life. Decking How to choose and maintain decking for a beach house An outdoor deck is a great spot for entertaining. We’ll show you how to choose the right materials and finishing, and give you some maintenance tips. Decking How to lay decking You can make the most of your outdoors and add real value to your home with a deck. 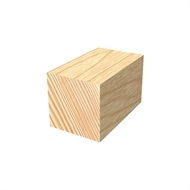 We’ll take you through the steps involved in laying merbau decking. Decking Planning to build a deck Good preparation is the secret to any successful D.I.Y. project. We’ll take you through all the stages involved in getting ready to build a deck. Decking How to lay Ekodeck Find out how to lay composite deck boards onto your deck frame evenly and securely. Simply follow our step-by-step guide. Decking How to set out a deck Before you can build a deck, it’s important to do the groundwork. We’ll show you how to measure and run string lines to mark the height of your deck and position of your stumps.